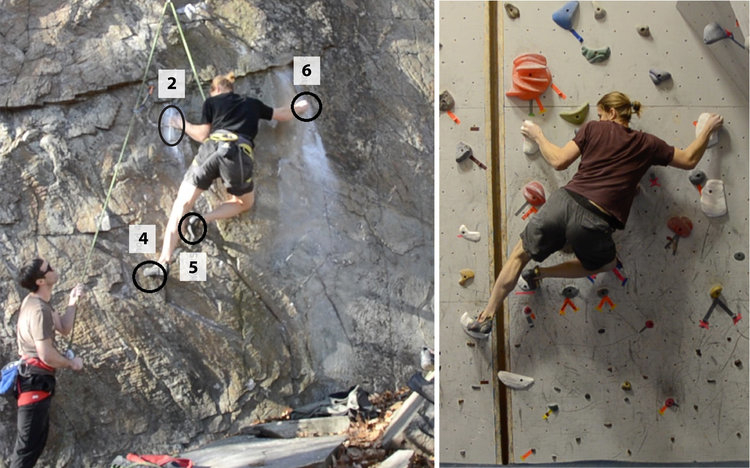 The researchers took hundreds of photos from two routes in Utah and New Hampshire and assembled them into 3D models of key “crux” points where climbers would stick hands and feet on the way up. The team made the handholds using rapid prototyping, molding and casting techniques, then arranged the finished molds up an indoor gym’s wall to mimic the specific routes. Then they filmed a climber going up both the original route in the outdoors and the simulated run in a gym — and his sequence of moves and poses was nearly the same in both ascents.